Worcester - Nancy Ann (Rutkowski) Santora, 69 of Worcester, MA and Binghamton, NY died on Sunday, March 24, 2019. She attended and graduated from Quinsigamond Community College in Worcester in 1972 with a degree in X-Ray Technology. She worked at Worcester City Hospital and Memorial Hospital and then she worked at Lourdes Hospital in Binghamton, NY as an X-Ray Technologist for many years. She was a tremendous Decorator and she had a devotion for siamese cats. Nancy mentored college exchange students for many years. 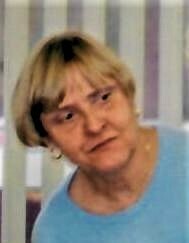 She is survived by an only child, Joshua Sorka Esquire and his wife Melody of NY; her brother Thomas Rutkowski of Nevada and she is predeceased by her mother, Maryann Cydzik and by her father, George Rutkowski and by her sister, Paula Rutkowski. She is survived by loving friends, Cynthia F. Marshall and Kevin J. Huard of Spencer, MA. Nancy had a passion for racing with the "terrible 10's" down the Susquehanna River in Cooperstown,NY. There will be a Calling Hour and Funeral Service at 10:00 am on Tuesday, April 2, 2019 at Graham, Putnam & Mahoney Funeral Parlors, 838 Main Street, Worcester, MA. A Committal Service will follow at Notre Dame Cemetery, Worcester, MA. Donations in her memory may be donated to the Greater New England Chapter National Multiple Sclerosis Society, 101 A First Avenue, Waltham, MA 02451.